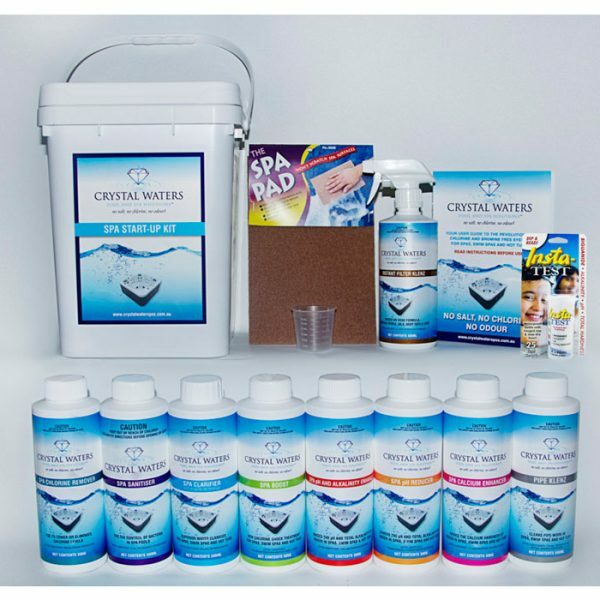 Our Spa Start Up Kit is our most popular choice for new customers. 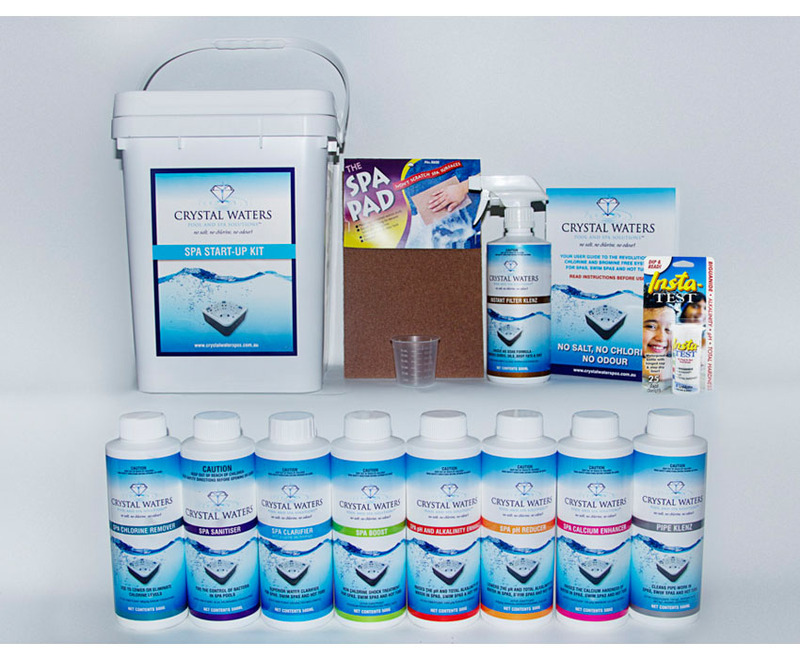 It’s compatible with all recognised spa equipment, and contains everything you need to get started on your new Crystal Waters Chlorine Free system at a bargain price! To learn more about the contents of our Start Up Kit, please return to our Spa Products page and click the individual products.